Didn't I just send out October's Newsletter? I like this cooler weather. I have been spending lots of time going in and out to chase birds and squirrels. The squirrels run on top of the fence, collecting acorns and nuts. I make sure they get their exercise by making them run back and forth on top of the fence. They aren't smart enough to figure out that I can't reach them when they're up there. It's lots of fun. Last month I showed you some Northcott flannel polar bears. We ordered some other coordinating flannel fabrics to go with it. This is just came in to go with our polar bears flannel panel. 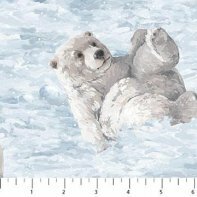 The polar bear cub fabric has a couple of different polar bear cubs on it. 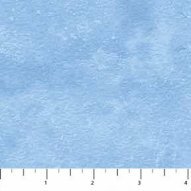 We have several quilters waiting for Andover's Outlander fabrics to come in. The shipment was delayed in Panama due to unforseen problems and then delayed again by the hurricanes down South. 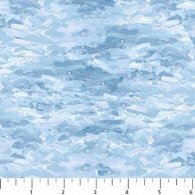 We will send out an email showing the fabrics we have received as soon as we get them in. 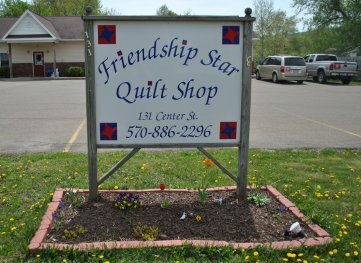 The Sewing Machine Doctor will be here Thursday, November 10th from 10:45-12:00. He does require a check made out to Jack Sutliffe for $53.00 for machine cleaning & oiling. Jack does not accept debit/credit cards nor cash. Jack no longer sharpens scissors. Mom and Grandma are stocked up on Arrow hydraulic sewing chairs for the upcoming Christmas Season. They are getting ready to order one or two more Arrow cabinets as well. Mom is getting ready to start bringing in Necchi Sewing Machines. She is working with the Necchi Sales Representative to become a dealer and get some ordered. Necchi is a division of Janome Sewing Machines. I will keep you updated on when we will be expecting sewing machines. She is trying to get them in time for Christmas. Mom is trying to make time to get a few used sewing machines she has restored so she can get them up for sale. They would make good machines for a new sewer in your family to start out with. We are excited to be bringing you these new products. 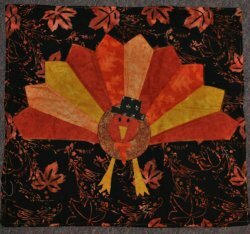 Fabric Challenge table runners are due by Saturday, November 5th. ( That's this Saturday) We will hang the table runners up for Customer Voting on Monday, November 7th until Monday, November 14th. Winners will be announced on Tuesday, November 15th and we will donate them to our local nursing homes and Guthrie's House of Hope. A special "Thank You!" 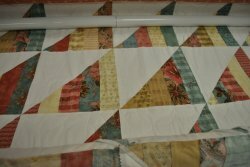 to Lois Ennis for making extra table runners in addition to her Fabric Challenge table runner to be donated to local nursing home and to Guthrie's House of Hope. Don't forget to come in and vote for your favorite table runner. 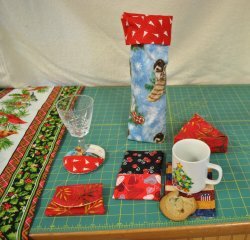 If you would like to join in on our Fabric Challenge, keep a close eye on your January Newsletter. We know everyone is going to be extra busy between now and Christmas getting ready for Thanksgiving and Christmas. We wait until the after New Years to start the next Fabric Challenge. If you see a class that would like to take but can't make the date. Call Grandma (Mary Lou) to set up a time to take a class that fits your schedule. Classes will not be cancelled due to low sign ups. We hope everyone has a wonderful Thanksgiving. Don't forget Small Business Saturday on November 26th. Enjoy the crisp fall days.